Straight North, we’ve spent a lot of time examining what goes into a successful campaign and used that information to create the following infographic. convert for different reasons, so it’s vital that campaigns are built with all of these components in place. 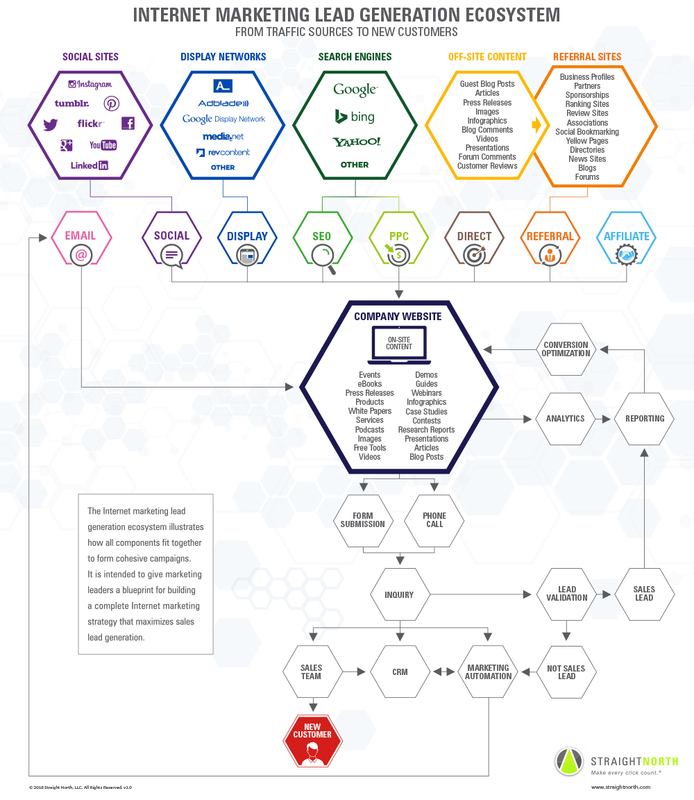 Whether you’re building a new campaign from scratch or overhauling an existing one, this infographic of the lead generation ecosystem can give you the instructions you need to get started. than 25 years of marketing, sales and management experience, and has been featured on reputable sites including Forbes and Entrepreneur.